From Normandy we return to Paris to give up our Eurolease car, then fly to Glasgow. 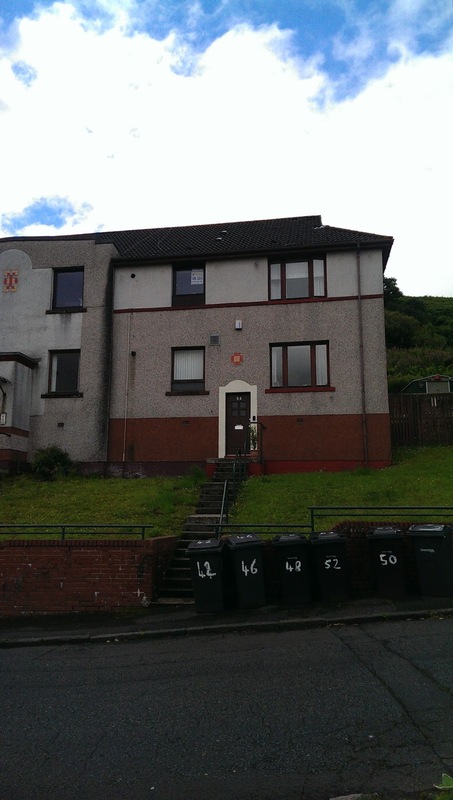 Two of my Scottish ancestors come from the area, one from Greenock, and the other from Paisley Road in Glasgow (on the south side of the Clyde). We stay in a self-catering house in between, in Port Greenock. It is a classic example of dreary English domestic architecture, but it has a kitchen and a washing machine, a splendid view and foxes in the back garden. 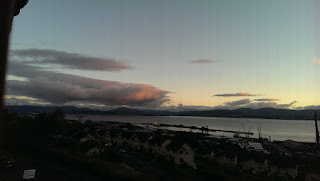 Our first day there is a Sunday, and we courageously drive into Glasgow. For the next two days we take the more relaxing option of driving to the nearby station and catching the train - about a half hour journey in comfort and no parking issues at the other end. It rains every day of our stay, not all the time, but most of the time and we see very little sun or blue sky. This doesn't really matter as Glasgow is full of splendid museums, all of them free. 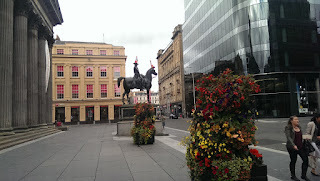 We go to the Kelvingrove, Transport Museum, GoMA, Mackintosh House, Hunterian, Kelvingrove again. We still do quite a lot of walking, but also catch buses. Glasgow's underground is under repairs, so is currently replaced by a bus service, which is great for us as we get to see more of the city as we go from museum to museum. Food is less interesting and more expensive than meals we've been enjoying on the continent. We eat at the house a couple of times, rather than staying in town. Like many port cities, Glasgow has experienced much cultural cross-fertilisation. 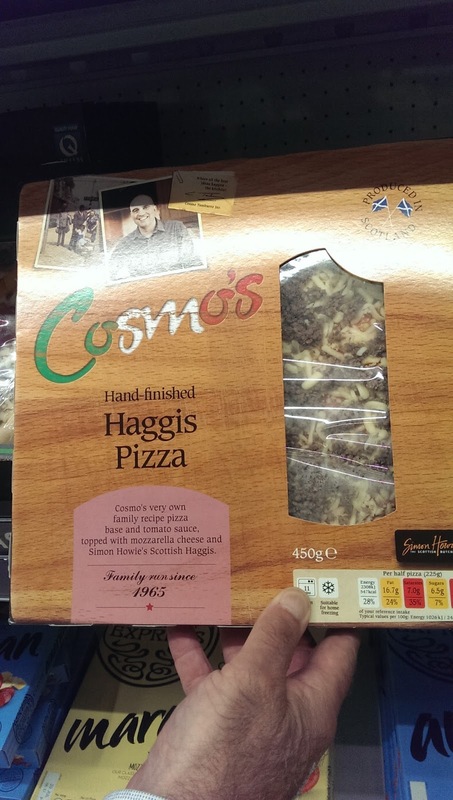 We find that we can buy haggis pizza in the local Tesco supermarket, but decide against. But we did eat haggis fritters at a local Indian restaurant. Glasgow is billed as the best place to shop after London, but we found it disappointing. The shopping streets are gracious and elegant, but the shops are all international chains selling stuff you could buy anywhere. Finally manage to find something Scottish in one of the museum shops - a Mackintosh design scarf ring, so that P has a gift for me on my fast-approaching birthday. We leave Scotland on 27 July, and take the pretty route through Greenock and down the coast of the Inverclyde. The weather has at last improved, and we enjoy the scenery and the change from motorway driving, although eventually we join the A1(M) and use it to get to our next destination, Goldsborough in Yorkshire.